52 Books in 52 Weeks! | I think, I over think! Category Archives: 52 Books in 52 Weeks! Book Five! This was read from February 3rd to February 9th 2014. 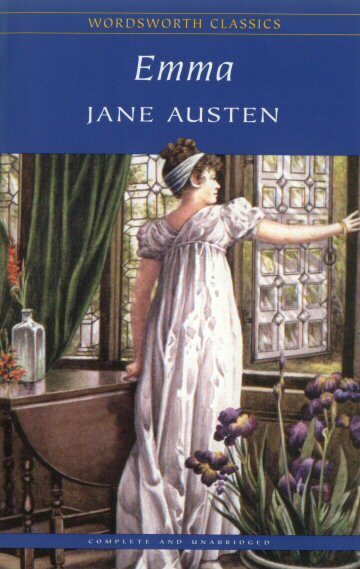 In continuation of my theme, here’s my second book of February by Jane Austen. Since, Austen is ancient history and I will probably have nothing new to say about her, I decided to do that which I do best. The first three weeks of February-books by Austen are in comparison to their Bollywood adaptations! You read that right, I actually merged my love for kitschy Hindi movies with literature. Also, because after the first month, it was a little tooooo tedious to write on and on about every book I read (with two challenges, this lag in posting opinions is just increasing!). Short Mein Bole Toh: The book is simply a show of how important it is to get your daughter married and applies the wisdom of Austen’s era to her characters. Surprisingly, Indians in this century might well be living in the Georgian Era. That is how seamlessly the book fits India. 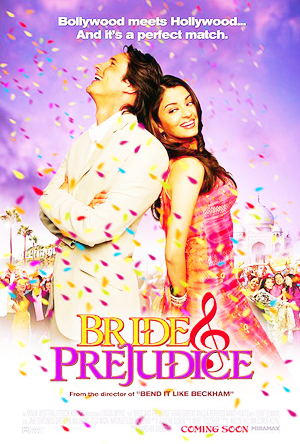 If you’ve time, then please read the rest of my opinion of this book and the Bollywood movie (Bride and Prejudice) based on it. 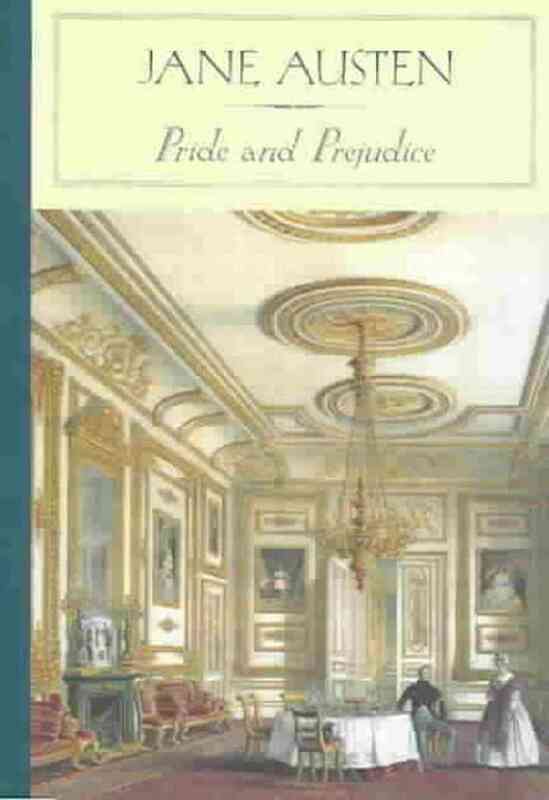 Pride and Prejudice is one of those books that my mom has read and enjoyed as much as I have and even my friends who consider themselves to be non-readers (no such term). The base of the story is simple, family with too many daughters wants to get them married to worthy and rich men. The daughters have different personalities and hence finding a boy is a tough job. If that sounds familiar to you, as a reader from India, I wouldn’t be surprised. Bollywood has had this theme for its movies since times immemorial. It’s one of those few instances where reel life actually is inspired by real life. Indians with large families of daughters who are of marriageable age is not unheard of. That is one of the premises of an entire sector of business that we know as matrimony helpers. In every possible way, Pride and Prejudice lives up to the genre specific tropes. The girl, Elizabeth (Liz) hates a man because she finds him haughty, falls for another who turns out to be of bad character, discovers the first man and then happily ever after follows. The other sisters are archetypes for other kinds of “brides”. The eldest Jane is kind, so finding her a husband shouldn’t be tough, Mary has the qualities sought after in a bride – studious and music lover, the youngest two are the opposites where Lydia has no opinion of her own and follows her sister around while Kitty flirts with everyone she meets. If you see, the movie practically wrote itself. While the only changes to adapt the book into the Indian setting include changing the number of sisters to 4 with Lydia removed, Lalita (Aishwarya Rai) being a mellowed down version of Liz and Darcy as a misunderstood character more than prejudiced as in the novel. I find Liz to be a very vain character. She forms her own opinions about people and then holds them up to her expectations. Obviously, the movie makes Lalita like-able and changes the circumstances under which her opinions form. 1. The music is brilliant! Though it is by Anu Malik, it is not the typical music he usually dishes out. If you understand Hindi, then I recommend watching the songs from both the English and Hindi version (Balle Balle Amritsar to L.A.!) and appreciate the job done by Farhan Akhtar on the lyrics of both languages. 2. The movie is very funny in parts. Mr. Kohli trumps Mr. Williams any day! 3. Anupam Kher and Nadira Babbar as Mr. and Mrs. Bakshi. This is the part where I contemplate if the re-reading helped me understand the text better. Yes it did! A lot of subtleties including innuendo stare me up in the face. Even better, I enjoyed a movie! Who Should Read: If you love romances and a tale where two people who seem to be wrong for each other but are actually right come together in the end. Who Should Not Read: If you’ve no stomach for a story where the main plot revolves around marriage. But honestly, that’s the point of the book! Book Five! This was read from January 27th to February 2nd 2014. In continuation of my theme from last week, I did four books by Austen for February. Since, Austen is ancient history and I will probably have nothing new to say about her, I decided to do that which I do best. The first three weeks of February-books by Austen are in comparison to their Bollywood adaptations! You read that right, I actually merged my love for kitschy Hindi movies with literature. Also, because after the first month, it was a little tooooo tedious to write on and on about every book I read (especially since reading regularly was task in itself, hopefully, the lag in posting reviews will end soon). Short Mein Bole Toh: Don’t blame Sonam Kapoor. The book is just as stupid. Actually, go ahead and blame her. There was no reason good enough to turn this book into a movie! Except for may be her clothes. If you’ve time, then please read the rest of my opinion of this book and the Bollywood movie (Aisha) based on it. Sometime in late 2012 or early 2013 I remember reading this article in Bombay Times, that doting papa Anil Kapoor had decided to buy the movie rights for the books that beti Sonam Kapoor liked. I also remember thinking what on earth prompted such a move! Aisha clears a lot. Just so that we don’t forget, this is my opinion of the book and a small part is talking about the Bollywood movie. If you’ve forgotten about my obsession with women authors, I will not blame you; it’s been long since I kept up my end of the bargain about writing an opinion piece about books that I read. So this February, feeling very enthused and banking on all my childhood memories of Austen, I decided to re-read them and enjoy the other-worldly feeling I used to derive out of the typical girl-meets-boy stories. Emma is perhaps Austen’s least like-able story that I have read. Sure, it is based on a premise where marriage and stereotypical gender roles define the plot (as do most books of the period), it is also the one where Austen’s lead character is extremely vain. Yup, we’ve seen that with the famed Liz from Pride and Prejudice, even then Emma would beat her by a mile. To cut it short, Emma thinks of herself as a matchmaker after successfully getting her governess (her aunt in Aisha) to marry and makes it the aim of her life to get Harriet – a parlour maid – married. What happens next is anyone’s guess. The matchmaking falls flat on its face and Emma realises that all this while she’s been living in the clouds of her own day dreams. I cannot put it more politely. Remember my opinion of Little Women? Unlike the women here, the ones in Little Women face a lot of hardships and then emerge as mature, strong willed women. Obviously since the two novels come from different eras, a direct comparison is not fair. However, as novels that are handed over to little girls, we must really think of what exactly are we asking them to read when we give them Austen? Austen is known to have famously said in her memoirs that Emma would be a character that no body but she, as an author, would like. Truer words were never spoken. Emma is rich spoilt brat who whiles away her time. Do you see where I am going with this? The “role” was practically written for Miss Kapoor. She gets to indulge in multiple “charitable” causes, dress up for a day at the races, one at the riverside, a party, an art show, Mumbai darshan [not an apt link] as well as a dog shelter (because cute puppies on the screen justify everything). I will be very fair to Aisha when I say that the movie is an excellent adaptation of the novel. It’s just as revolting and ridiculous. The saving grace (if you’re into it), are the clothes, hats, accessories that Kapoor and Co. don throughout the movie. Honestly, a book could be written about those alone. Poor Abhay Deol. Yup! That headline summarises the movie. Did the re-reading give me a new perspective on the book? Obviously! Do I pity myself on reading it and then watching Aisha? Nope! It’s like watching a brainless Govinda on the TV screen while munching on a tub full of popcorn and potato chips, it’s not healthy but why not! What happens in the end? Obviously, Emma (Sonam Kapoor) decides to marry Knightly (Abhay Deol). Amit Trivedi is the star of the movie btw. Who Should Read: If you want to know what the hype around Austen is, and want to get done quickly. Possess immense amount of patience and plan to watch the movie later. Who Should Not Read: Have you read Shakespeare’s Midsummer’s Night’s Dream? Did you like it? No? Don’t read this. The pairings and re-pairings and the travel between multiple locations are just as crazy. Fourth book of the year! This was read from January 20th to January 26th 2014. Also, the last book of January. Short Mein Bole Toh: Re-reading a classic is always enlightening and even more so if you originally read an abridged version meant for 8-year-olds. Little Women made me laugh, frown and so much more. I am obsessed with women writers and for some reason the same continued even after Parwaaz. However, these are two extremes of writing even if they may be by women. Obviously, by no parameters can a 19th Century American woman be compared to a 19th Century Indian one. Even so, reading these two books right after each other was one of the best choices I made this year. Little Women, if you do not already know, is the story of four sisters – Meg, Jo, Beth and Mary-daughters in a family that is dealing with the American Civil War. It traces how these girls grow up into women in-charge of their lives. Thankfully, marriage is not the only goal in their lives and the girls go through death, betrayal and changes in economic conditions too. The story begins with a bleak Christmas celebration because the girls’ father is a chaplain at the War. The “action” in the novel begins when a wealthy family with a son the age of Jo, named Laurence (Laurie) moves next door to the March family. The reader will immediately recognise that he will eventually be a suitor for one of the girls. At this point I almost dreaded the fact that the only real character in the book Jo-the tomboyish-outspoken daughter-would change for Laurie and become a docile family woman. Thankfully, Alcott had other plans in mind. After all the multiple trips to New York and Europe with aunts and grandfathers, death of the darling Beth and the birth of delicate beauty Meg’s kids, the novel ends with all loose ends tied neatly enough to compete with a Karan Johar movie. In Alcott’s defense, she had to write a book for girls and one that would appeal to all girls. The first part of the book is just that – romantic and full of opportunities for the girls. It’s a fairy tale. The second part changes it’s tone, and how! I think, and I cannot know for sure, Alcott takes a more realistic tone at this part and the characters finally have to deal with obstacles and make decisions that are not really easy to make. For me, Part II was the saviour. I shouldn’t really take into consideration the fact that these girls are 16-15-13 and 12, ages at which I really cannot imagine them so mature (they do grow up through the novel, but still! ); however considering the fact that I read Rabondranath Tagore’s Gora last year who had a 12 year old girl speaking like my grandmother, it isn’t much to ponder on. Perhaps, girls have just decided to be less worldly wise now. I was probably 10 or younger when I read this “book”. My copy ended in 50-pages and also had illustrations. The original that I read now has 47 chapters and around nine times the pages of the abridged version I read. All in all, I am glad I “re-read” this classic because I see the religious undercurrents and the overwhelming gender stereotypes that I wouldn’t have observed the first time around and because it gave me an idea of what I would be reading in February with new perspectives. (Psst.. it’s Jane Austen). Who Should Read: If you do not mind a book that is slow by modern standards and which feels and reads like a desi feel-good movie with videshi characters. If you want more, there’s a sequel to the book called “Good Wives”. Who Should Not Read: You should certainly not read this book if you cannot get past the 21st century mindset of women and would interpret it with today’s sensibilities. Also, if you cannot watch a three-hour mindless movie where the only agenda is to get the characters to grow up and finally “settle down”, then this is certainly not for you. Week One: The Rozabal Line by Ashwin Sanghi. Short Mein Bole Toh: The book felt like I’m lost on Wikipedia, clicking article after article through links and inter links; finally forgetting what the original point was. If you’ve time then read the rest of my opinion of the book. Desi Dan Brown. Long stories. Great research. Funny. Don’t read. Those were some of the reactions I received when I announced that I was planning to read Ashwin Sanghi’s The Rozabal Line. Hmm.. this book takes up the missing years of Christ and brings him to India. That’s new, should try this book. Too much overdose about Krishna and Mahabharat; and I know literally nothing about Chanakya. So why not read about Jesus, who has been written about so widely that there is nothing new to say! Boy was I wrong. Thanks to a misrepresented assignment in my first year of BMM, a classmate had said to the class that Jesus was in India and we had laughed. The professor included. What she said that day, came from the book Jesus Lived in India by Holger Kersten, I suppose. Every time I was reading a new line, I was reminded of something from her assignment. Obviously, that’s where Sanghi’s story was inspired from as well. As for nothing new being there to say, let’s just say that I lost it when the book said Mary Magdalene was from Magadh. If that’s new, I think we should totally throw the term “new” out. There’s a thin line of difference between new interesting and new ridiculous. The book is gripping but shifts between periods in history and myth too rapidly for my taste. I barely understood what happened to someone in Jerusalem during Christ’s crucifixion that I was thrown into present time Afghanistan or London. Characters going into past life, discovering secrets of mankind, Dead Sea scrolls, Buddhist monasteries in Ladakh, Vatican City, the Sossoons (Same Jewish family of David Sassoon I suppose) in England etc. are thrown into one huge cauldron expecting a broth that is delicious simply because it has all the rich ingredients. What it ends up as: Parmesan cheese grated on top of rasamrice. It may work for you, but certainly not for me! A book with a typo on the back cover? After a while, the book got so tedious that I started counting the number of typos and errors in the book. Needless to say, there are many! (See my book copy’s picture) However, that wasn’t what irked me the most. The simplification of the concept of Karma, is a little too stretched in the book. (Bookhad explains this better by using math language/sign/symbols I will never understand. Link at the end of the review.) Someone was treated so and so in a previous life and hence in this life will be with that person with good taking over or justice being served or whatever. I couldn’t care less because it was just too convenient as a plot device. All said and done, I have to acknowledge Sanghi’s thorough research. The book is sprinkled with Greek, Latin, Hebrew phrases along with countless obscure references to texts and events around the planet. All of which is true and credible. Then again, I started to imagine the author sitting with a huge white board and Encyclopedia/History of the World open with Wikipedia open on the laptop and drawing a link between random events. All in all, this wasn’t the best book to start neither the year nor my challenge with. But it’s done now. Needless to say, I am not going anywhere near the other two books any time soon. I’d rather sit and read C. Rajagopalachari’s Mahabharat again. It’s complex, but not as farfetched. Who should read: If you love Dan Brown novels and want to see a desi rip off. Possess immense patience and want to try an Indian author of popular fiction who is not named Chetan Bhagat. Who Should not read: If you’re like me. You demand a good book! And /Or are sad to see a plot line with good potential go waste. If you want a proper review of the book and not the opinion of a crazed 22-year-old book lover then you can read it here on BookHad.